The Issue is a new magazine with photo-essays on timely political and social issues, developments and events. An initiative of the Dutch publishing house, Mets & Schilt, and of photographers Kadir van Lohuizen and Stanley Greene (Agence VU), The Issue also includes the work of top photographers Thomas Dworzak and Paolo Pellegrin (Magnum Photos). 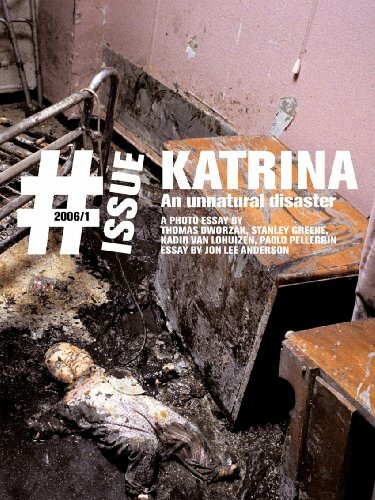 This first edition, entitled Katrina – An Unnatural Disaster, is devoted in its entirety to the aftermath of hurricane Katrina in New Orleans and its devastating effects on the residents and former residents. The photographs capture the Big Easy in ruins, and a disaster whose repercussions have been felt throughout the world.